I didn’t get to know my grandmother. She died 6 years before I was born. My mom gave me the cookbook and I only glanced through the pages thinking the recipes and techniques were outdated. The cookbook sat on a shelf for a long time. this volume holds. In addition to almost 4000 recipes covering all the usual categories there are also sections on Liquors, Cocktails, Wines, The efficient Kitchen, Design and Equipment for the Kitchen, Menu Planning for Health and Pleasure, Menu’s for Entertaining, Carving, Setting the Table, and Herbs and Spices. The clever homemaker knows that her meals do more for her family than satisfy hunger and please tastes. She has full understanding that the bodies of all members of her family are composed of many chemicals, combined together in such a manner as to form skin, blood, muscles, bones, hair and all of the other component parts of the human frame. She realizes that each of those she loves so well are constantly exhausting those chemicals in many ways – by exertion, by growing, by the normal function of the organs, by digestion, elimination, and respiration, and in other ways. 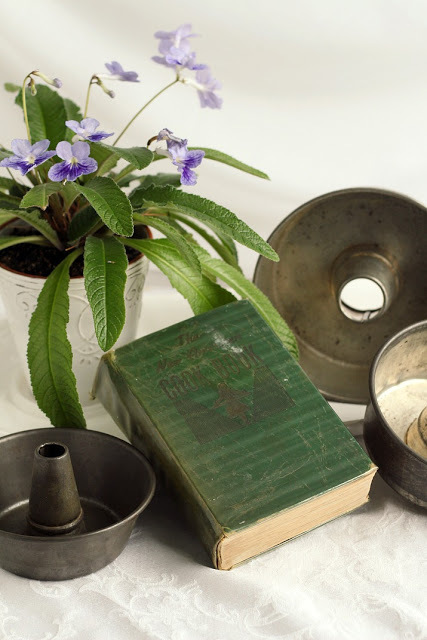 Her task, as the menu planner of the home, is to restore those lost chemicals in the proper quantities and form. 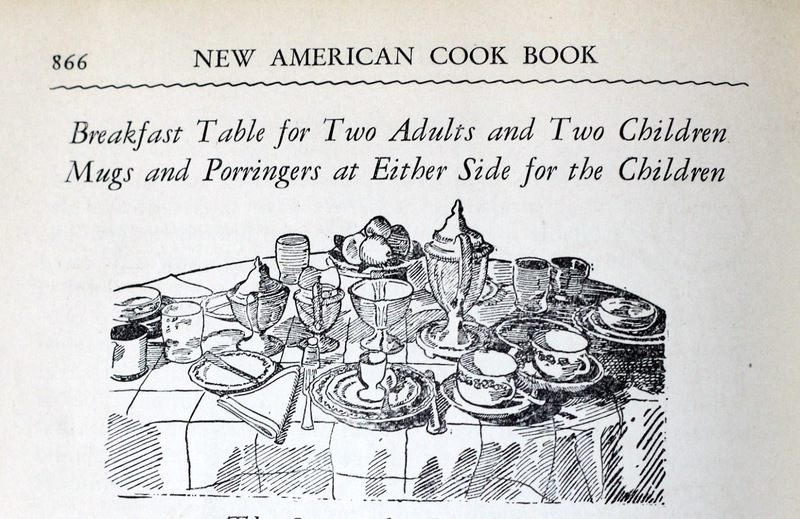 The New American Cook Book covers the various economic stations. 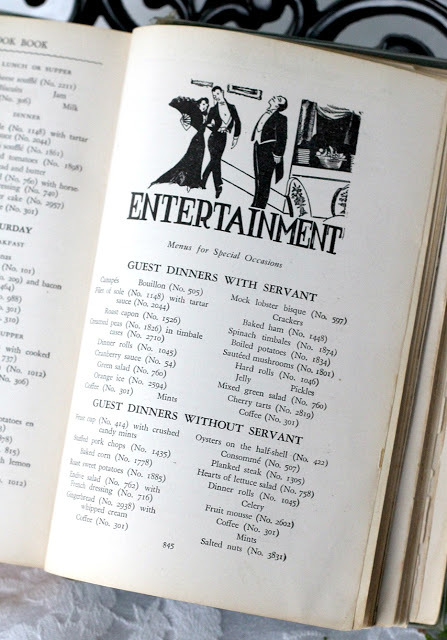 Menus for minimum-cost diets to Entertaining with a Servant’s help. 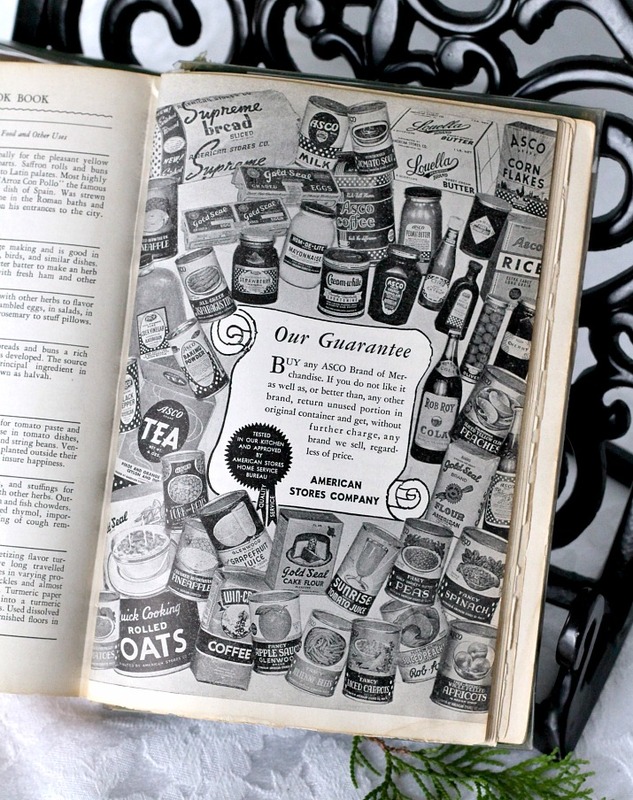 The cost of this suggested well-rounded diet, according to average city prices in 1941, was about $9.15 a week for a family of four, $4.85 for a family of two, and $15.50 a week for a family of seven. This section gave me thought as my own grandmother raised 11 children on a meager income. None of our family members had servants or maids but for those who did, these special occasion menus are suggested. American Stores Company was an American public corporation and a holding company which ran chains of supermarkets and drugstores in the United States from 1917 through 1999. The company was incorporated in 1917 when The Acme Tea Company merged with four small Philadelphia, Pennsylvania area grocery stores (Childs, George Dunlap, Bell Company and A House That Quality Built) to form American Stores. In the following eight decades, the company would expand to 1,575 food and drugstores in 38 states with $20 billion in annual sales in 1998. I did find a recipe for cottage cheese pie in this cook book. 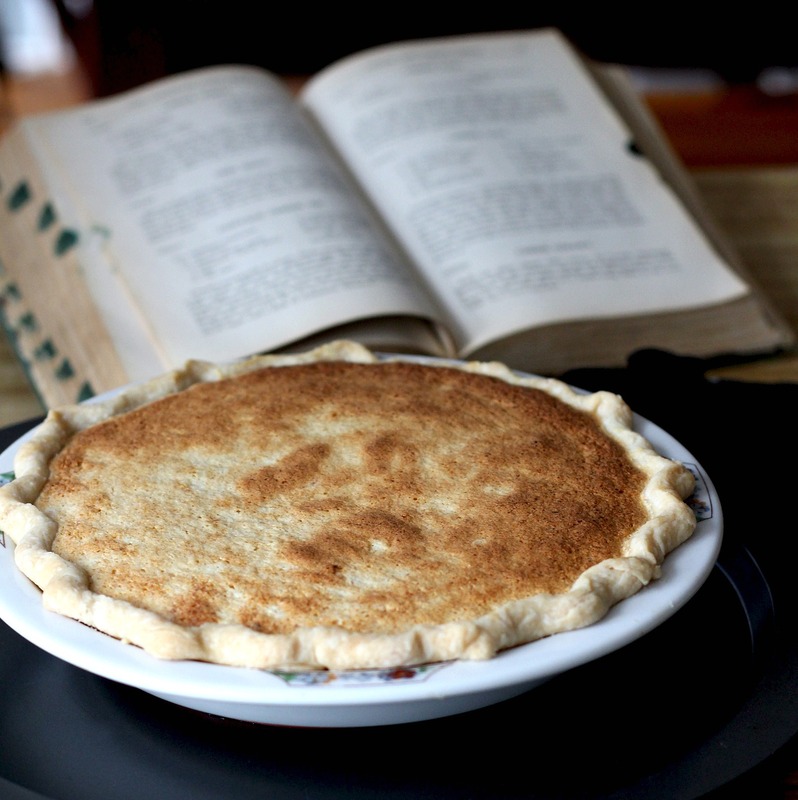 Wondering if this sweet, humble, pie just might have been served at my grandmother’s table. Dissolve cornstarch in cream. Drain cheese and rub in through a sieve twice. Add butter. Separate eggs. Beat yolks until light. Add sugar and beat until thoroughly blended. Add cheese, cream, lemon juice, rind, and cinnamon. Beat egg whites stiff and fold in, reserving a little. Line a greased pie tin with pastry. Brush with reserved egg white. Pour in cheese mixture. Bake in moderate oven (350 degrees F.) 25 to 35 minutes. 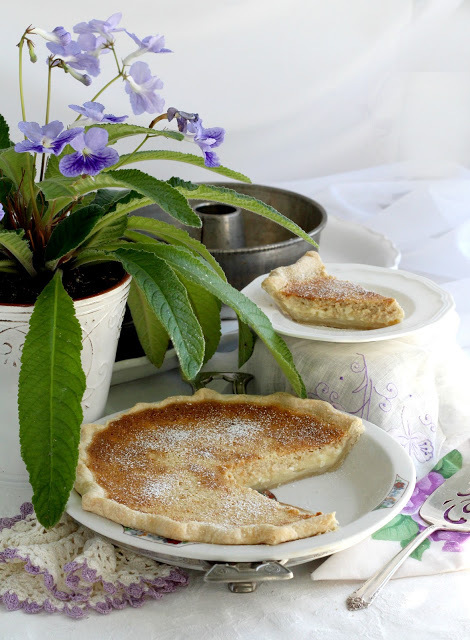 Sprinkle with powdered sugar and a dash of cinnamon. Serves 4. I attempted to drain and rub the cottage cheese through a sieve but since the small curd cottage cheese wasn’t very wet there was little to drain. Rubbing it through a sieve was not working and I wasn’t concerned that there would be small chunks of cheese in the finished pie. Knowing I needed my stand mixer to beat the egg whites, I began by whisking the eggs and then sugar in a bowl, but ended up transferring to my stand mixer. When the cheese mixture was mixed, I transferred it to another bowl so I could beat the eggs in the mixer bowl. I did not grease the pie dish before adding the pastry. 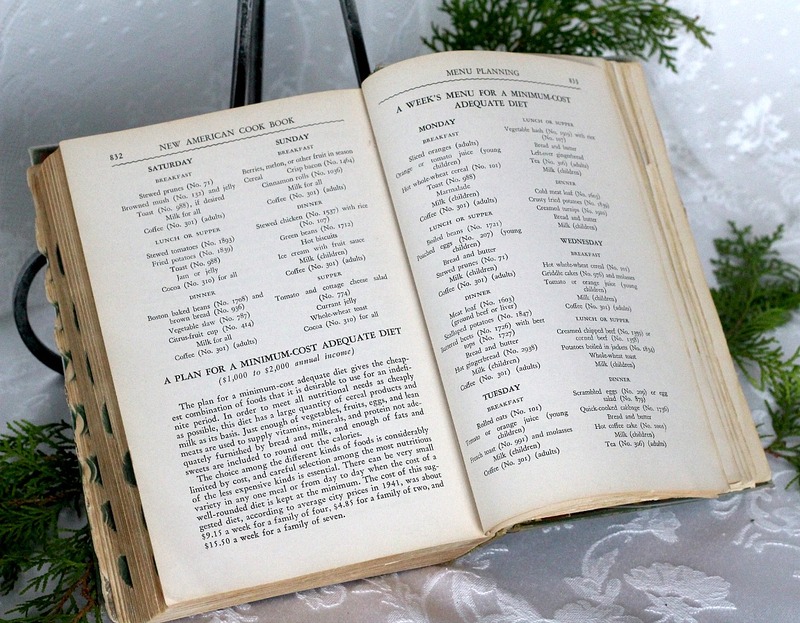 This was interesting to me, too, as I like those old fashioned recipes. They are so different that what we always see today. I visited via Mildred and am happy to know you. Mary from Pile of Smiles. Hi – I've just come across from Mildred's blog. Lovely to read your post, and see your photo's. Hello Linda mae, yes, we did like this cottage cheese pie. It was a mild tasting, pleasant pie. Not too sweet. It wasn't creamy but not too lumpy either. 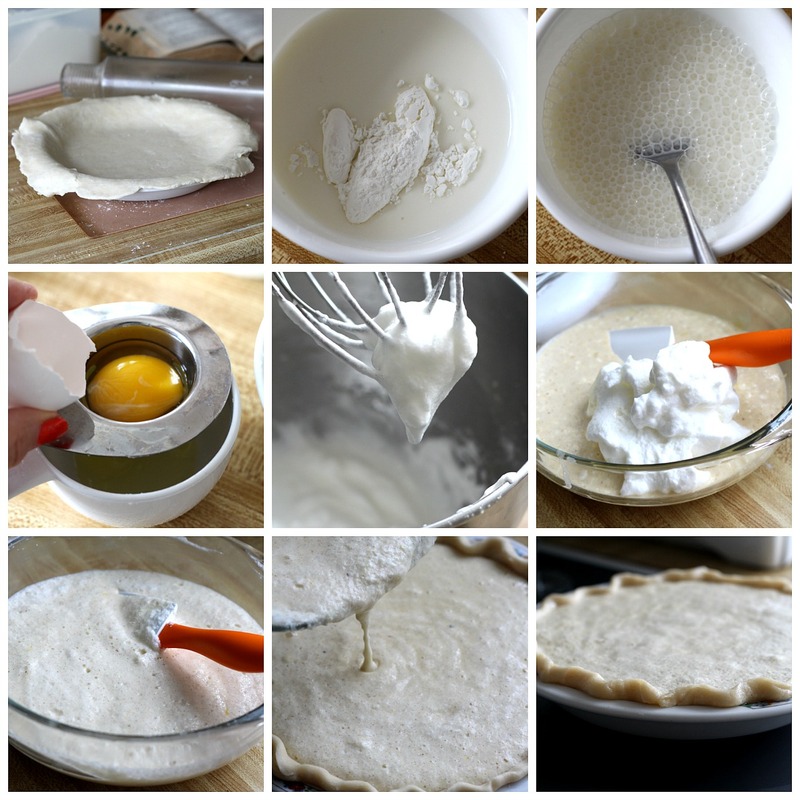 Wondering if you like this pie. What did your family think of it? I currently have a link to your blog post on my blog. 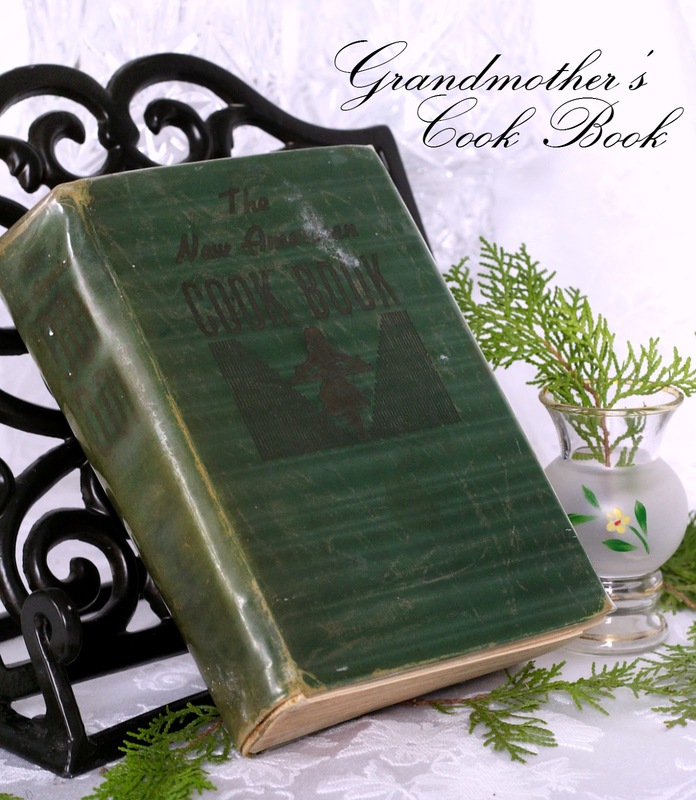 I have so many blog followers who love baking, cookbooks, photography etc. and I know they will enjoy your grandma's pie recipe! What a sweet post, Lorraine. The cookbook is such a treasure. I have never heard of a cottage cheese pie but with the addition of lemon, it sounds wonderful. I like their suggested serving size, too! lol A delightful post. I love the story about and the images from the cookbook. This looks yummy!! Thanks for sharing.